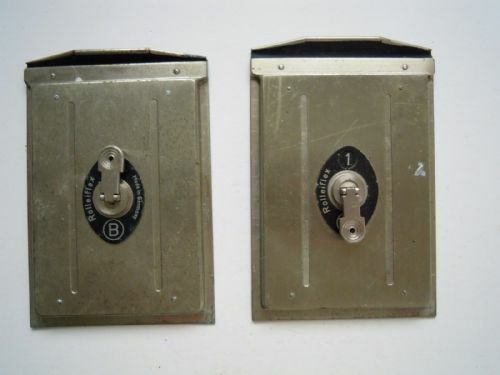 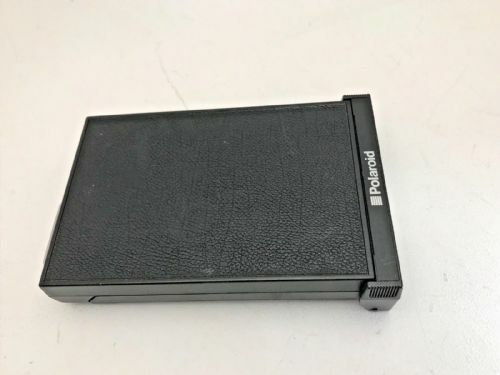 3X PLAUBEL CUT FILM HOLDERS THEY WORK BUT DO SHOW SIGNS OF AGE. 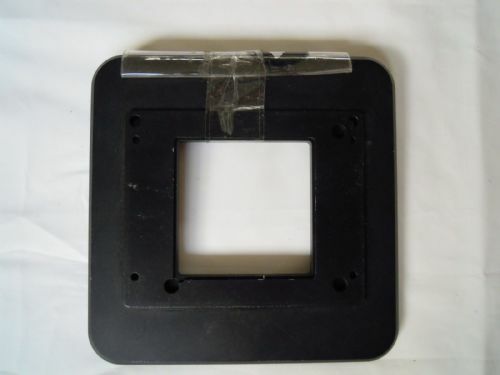 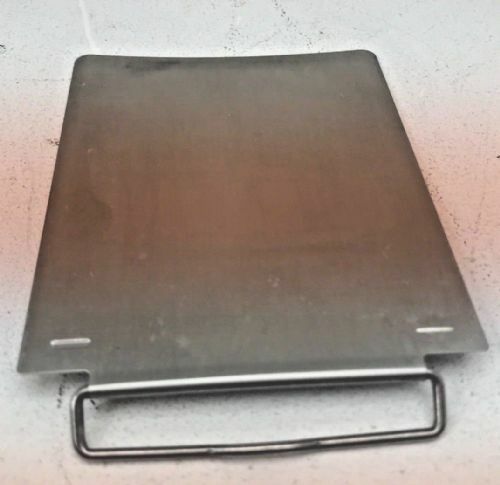 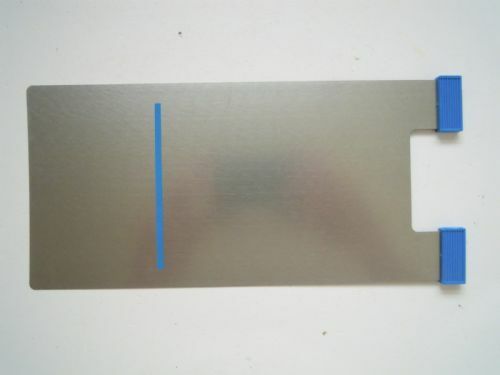 6x7 Roll Film Holder 120 for 5x4 Universal Back. 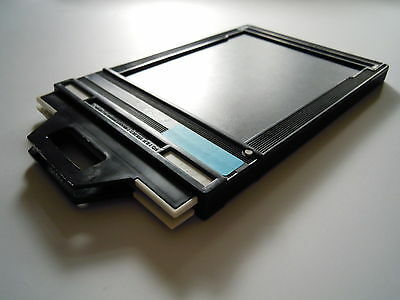 This film holder is in excellent condition. 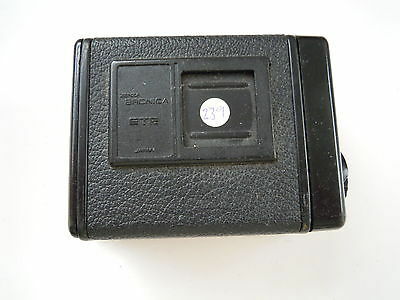 Bronica ETRS Film 120 Magazine Back The back is in good condition. 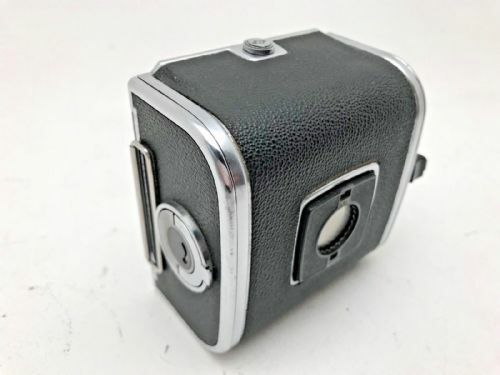 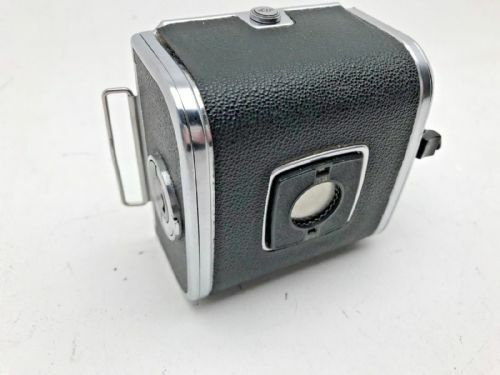 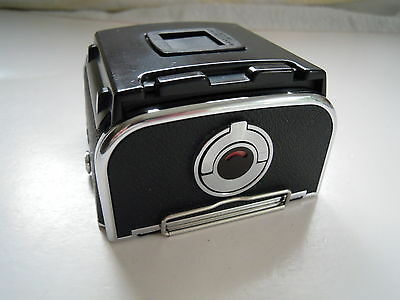 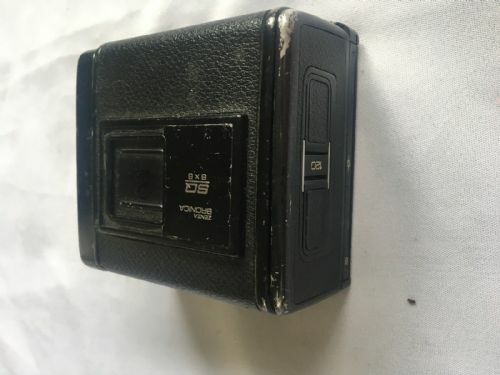 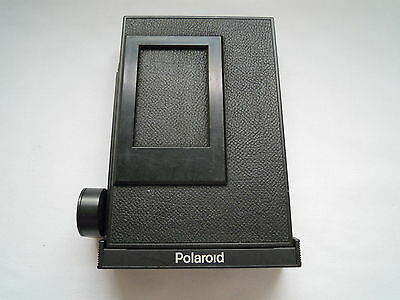 Bronica ETRS Polaroid Back in very good condition. 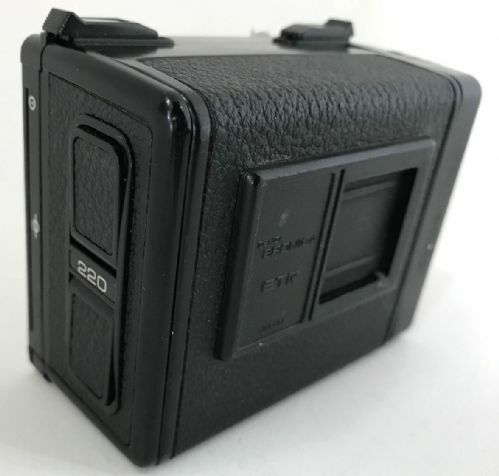 Cambo 2x3 Sliding Back New and unused though the box has been opened. 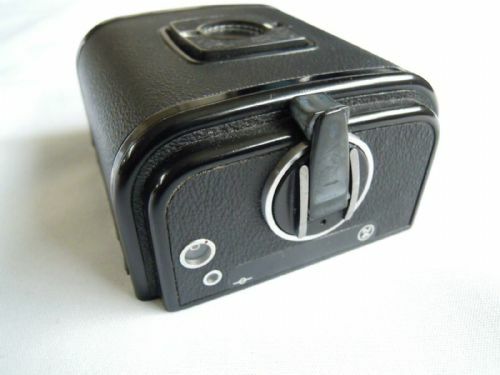 Cambo 6x7 roll film holder for 5x4" Sinar , Toyo etc with Universal dark slide back fitting. 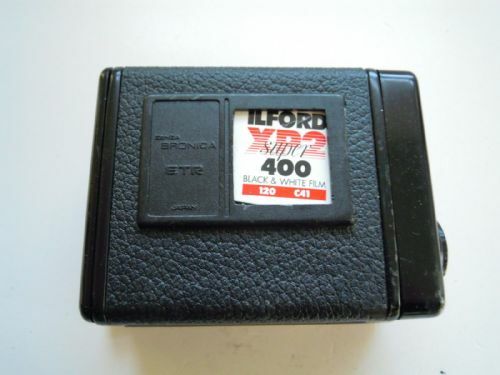 Excellent condition but needs a dark slide. 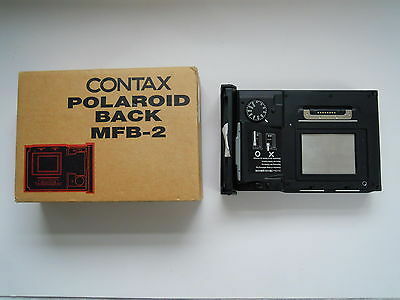 Contax Polaroid Back MFB-2 This back is new and unused. 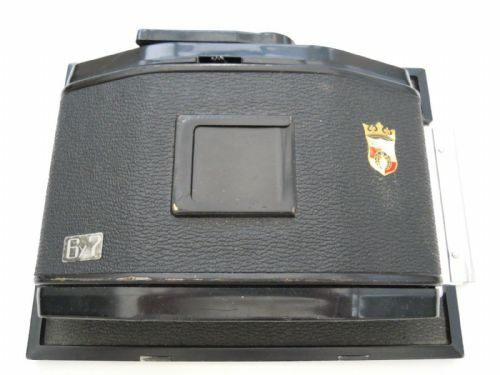 Fidelity Astra Double Dark Slide/Film Holder in Excellent condition. 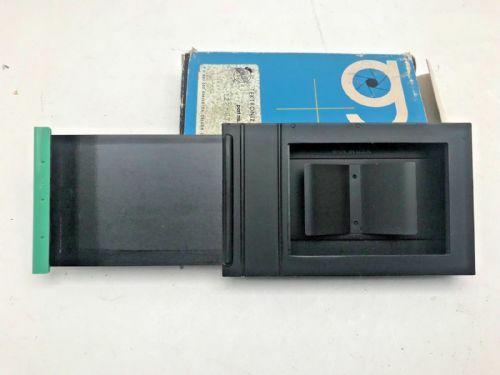 Fidelity Elite 10x8 Double Dark Slides used in good condition. 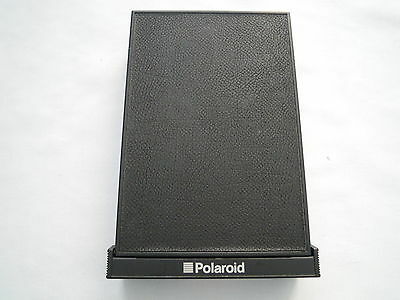 Fidelity Elite 5x4 Double Dark Slides used in good condition. 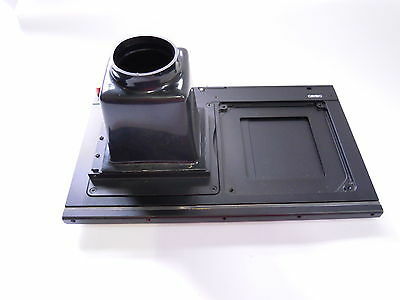 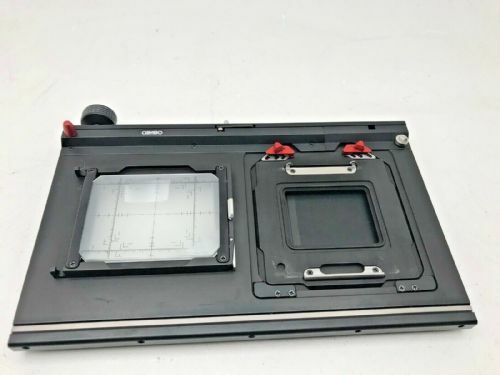 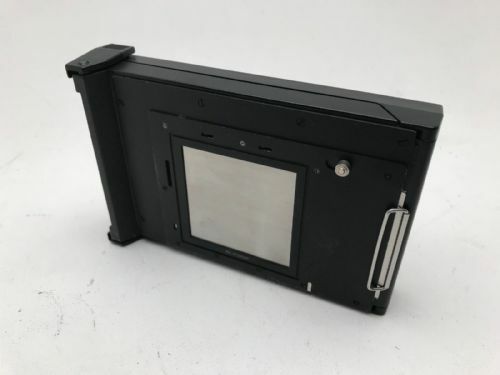 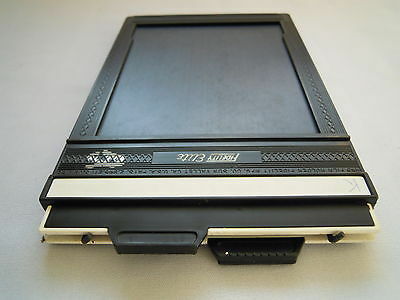 Fuji GX680 120 6x8 Roll Film Holder/Back in very good condition. 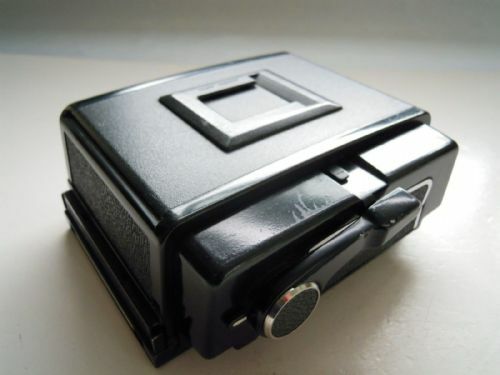 Hasselblad A12 6x6 Magazine. 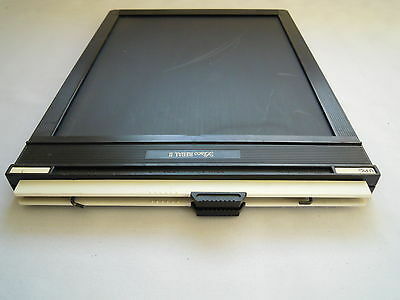 This magazine is in Very Good Condition. 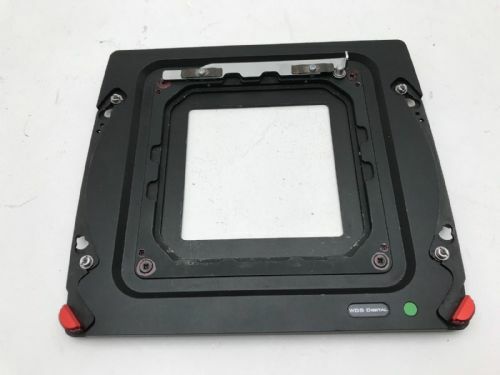 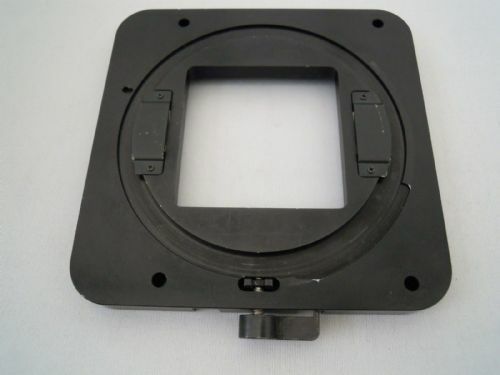 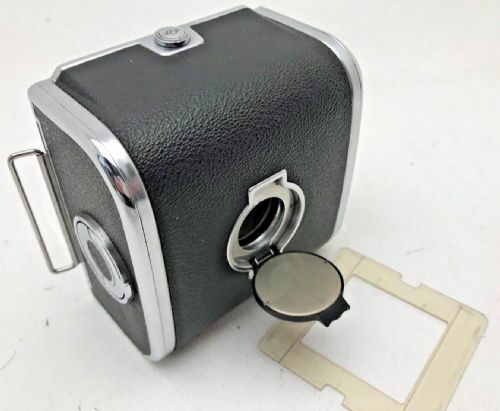 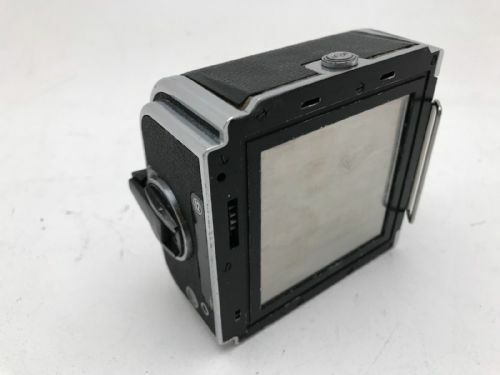 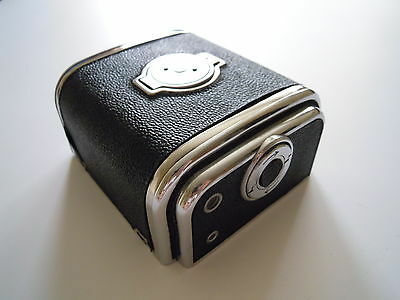 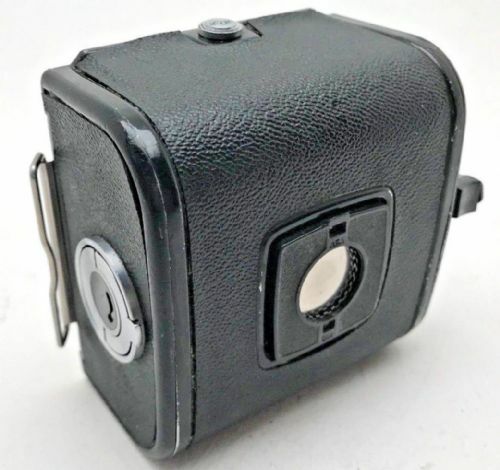 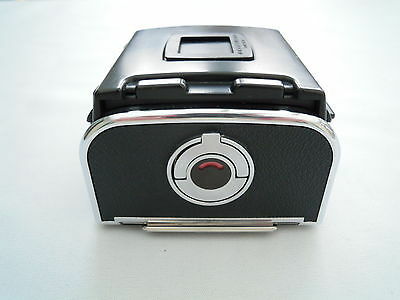 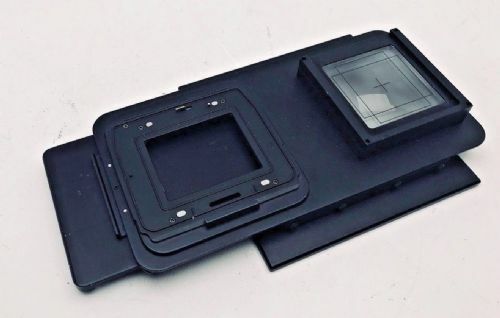 Hasselblad 51063 rear body protective cover for all 500series cameras. 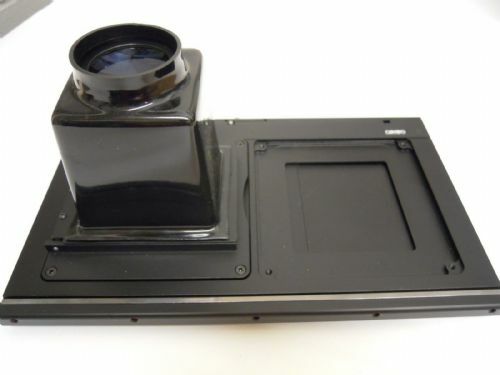 500cm, 503cw etc in good condition along with 503cw instruction manual and CF lenses manual in good condition. 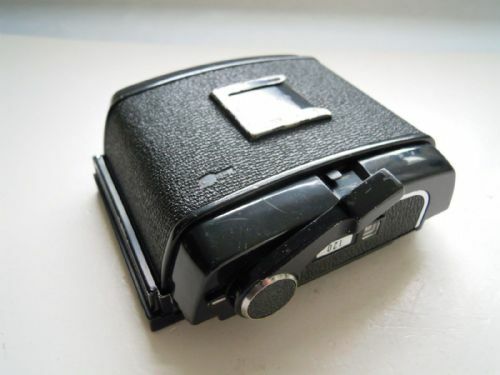 Hasselblad A12 Magazine. 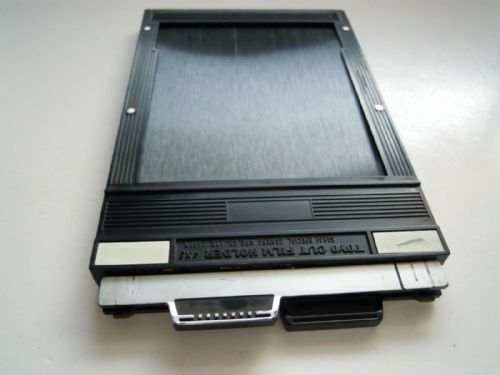 This magazine is in very good condition. 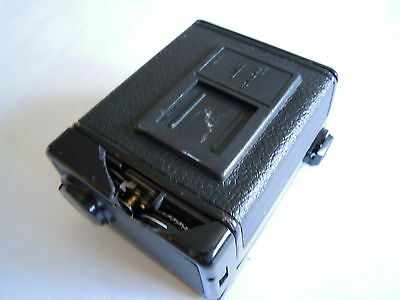 Hasselblad A12 black magazine in good cosmetic condition. 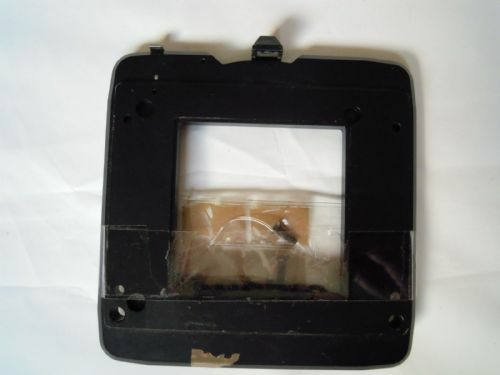 May need a service for seals as it's not been used for some time. 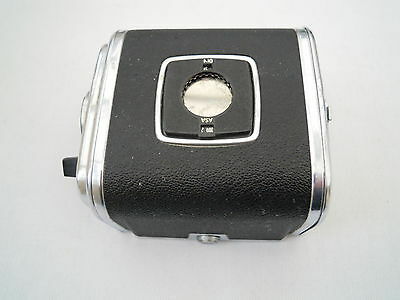 Hasselblad A12 chrome magazine in good cosmetic condition. 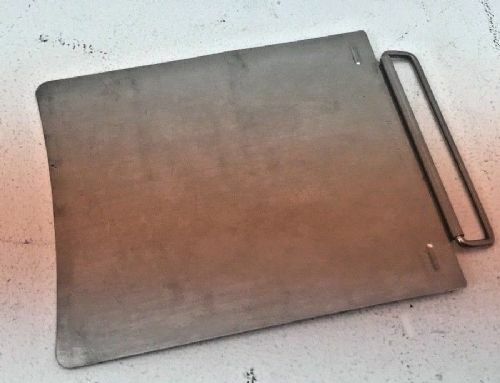 May need a service as it's not been used for some time. 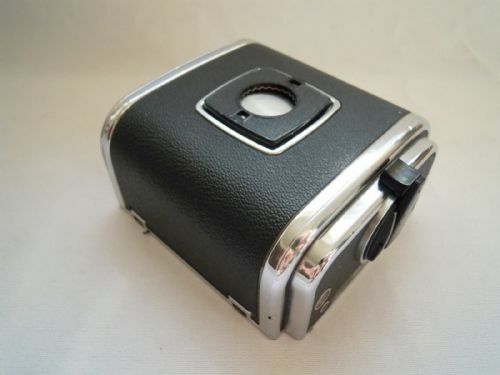 Hasselblad A12 chrome magazine in good cosmetic condition. 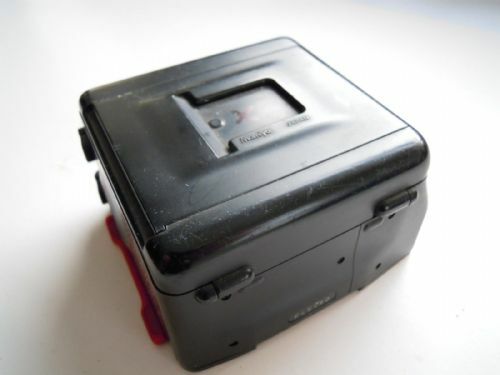 May need a service for seals as it's not been used for some time. 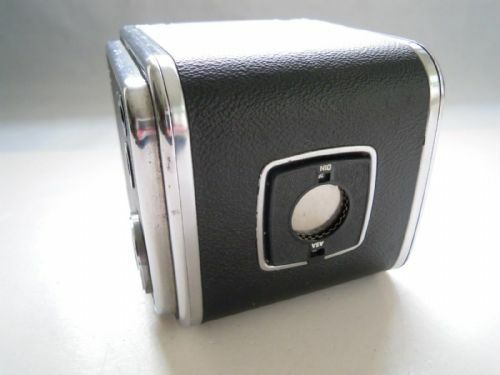 Hasselblad A12 chrome magazine in good cosmetic condition. 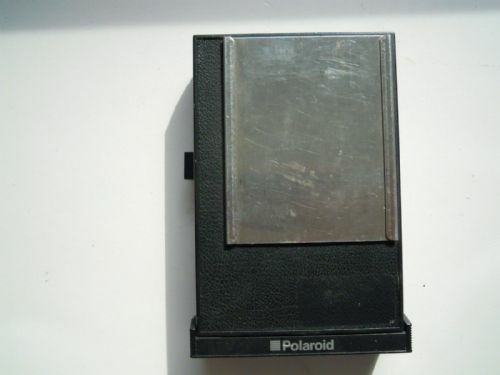 May need a service as it's not been used for some time, engineers inspection said the seals are fine. 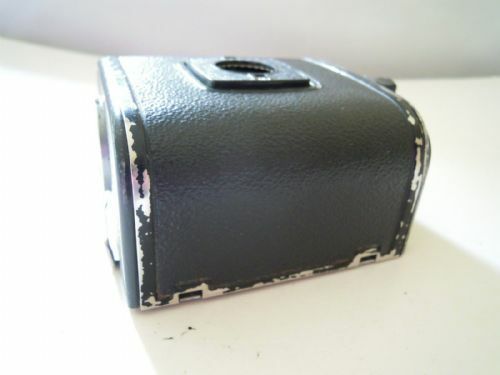 HASSELBLAD A12 MAGAZINE BACK BROKEN MAY NEED NEW LIGHT SEAL. 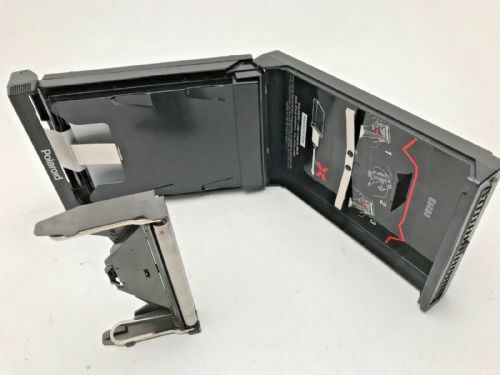 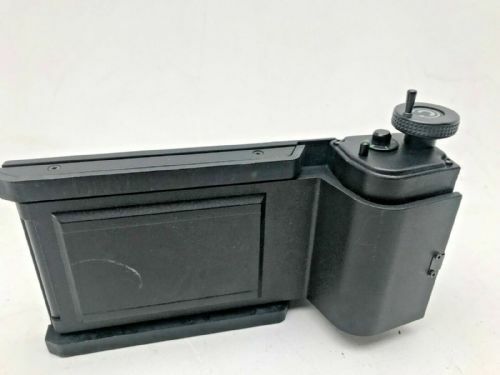 HASSELBLAD A12 MAGAZINE BACK BROKEN. 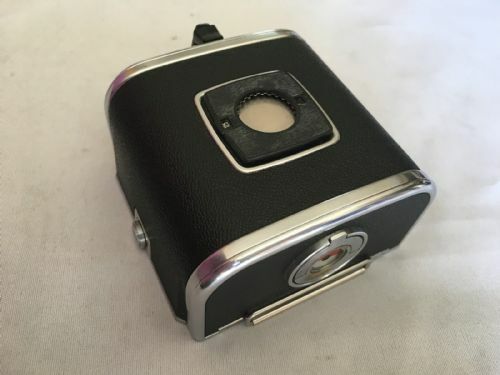 IT DOES WORK BUT KEEPS ON WINDING. 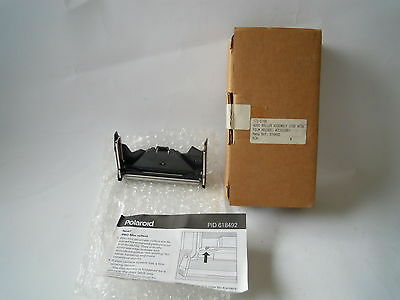 Hasselblad A12/24 magazine slide, in good condition but , may be slightly bent. 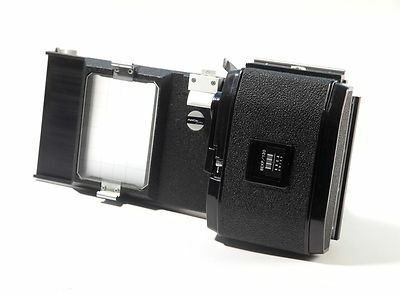 Hasselblad A16S super slide 16 on 120 chrome magazine. 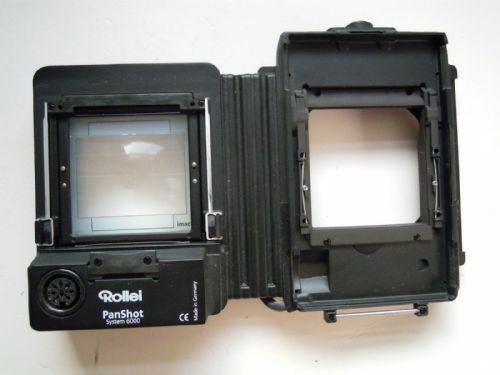 Good condition with viewing screen adapter .Old style mag with frame counter viewing hole in back of mag. 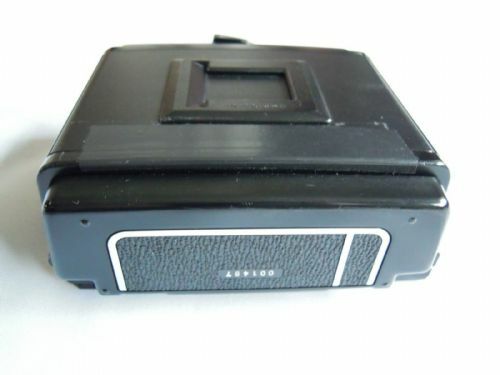 HASSELBLAD A24 BLACK MAGAZINE BACK IT IS IN VERY GOOD CONDITION THOUGH SOME OF THE BLACK PAINT HAS FLAKED OFF, AS SHOWN ON THE IMAGES PROVIDED. 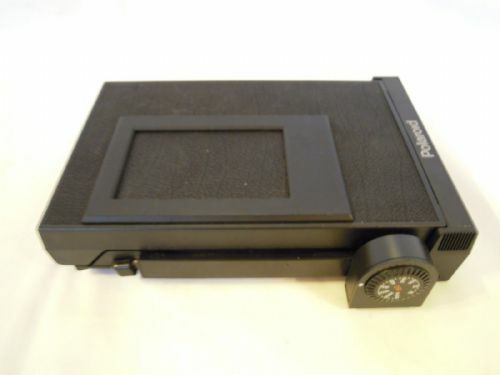 HASSELBLAD A70 MAGAZINE BACK IN VERY GOOD CONDITION. 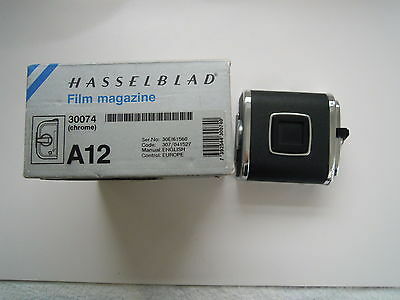 Hasselblad Film Magazine A12 30074 Chrome. 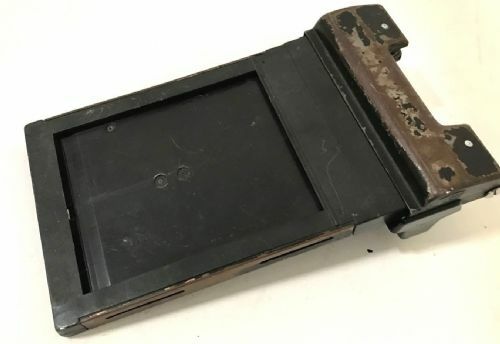 This magazine is in good working condition though it has a dint on one corner, I have shown it in 2 of the images provided. 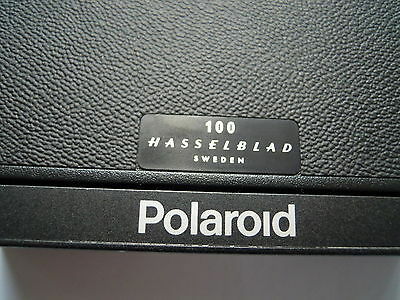 Kiev 120 A12 Film Magazine for Hasselblad V is in good condition. 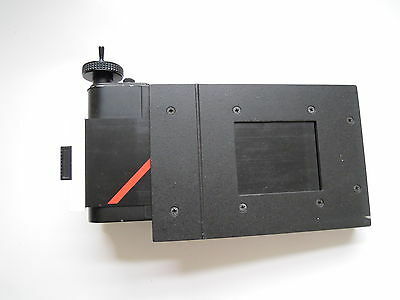 LEAF DCB BACK TO FUJI GX680 ADAPTER IN VERY GOOD CONDITION. 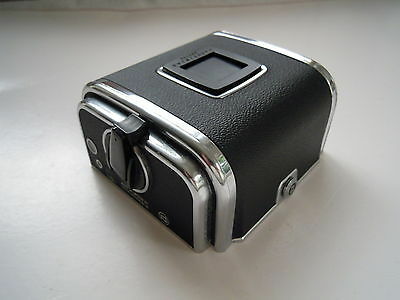 LEAF DIGITAL BACK ADAPTER FOR FUJI GX680 IT IS IN VERY GOOD CONDITION. 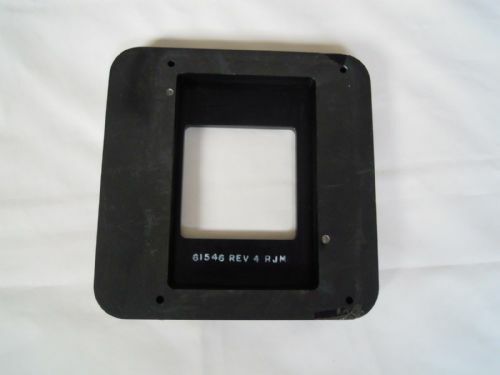 MAMIYA 645 120 MAGAZINE BACK. 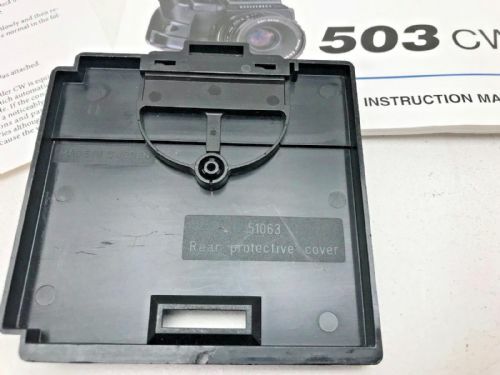 THIS MAG IS IN VERY GOOD CONDITION. 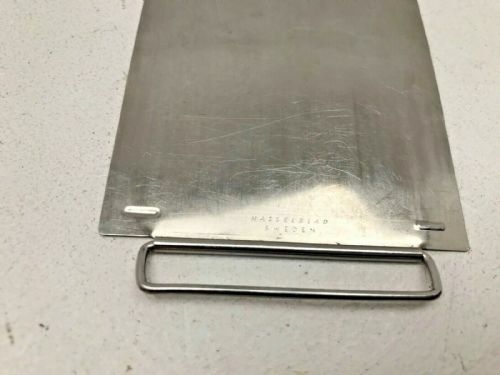 IT HAS A SMALL PEN MARK ON THE TOP. 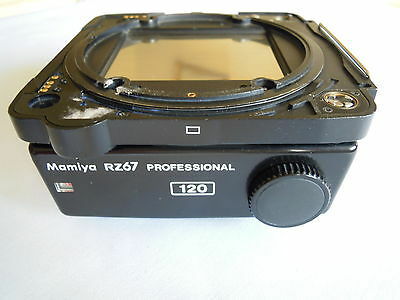 MAMIYA PRO-SD RFH-NO DS MAGAZINE BACK IT IS IN GOOD CONDITION. 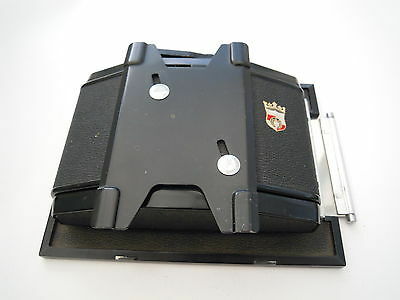 Mamiya RB67 double cut film holder Type A in near new condition. 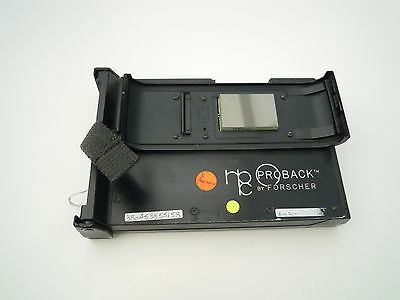 NPC Polaroid Back Pro Back By Forscher. 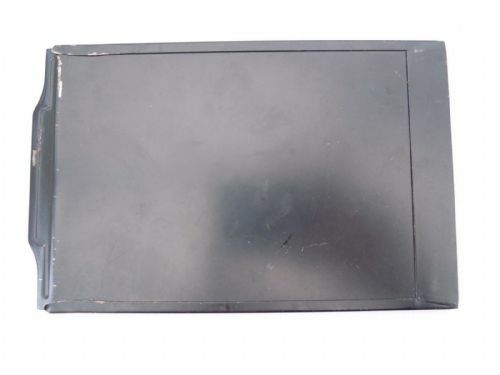 Used and in very good condition. 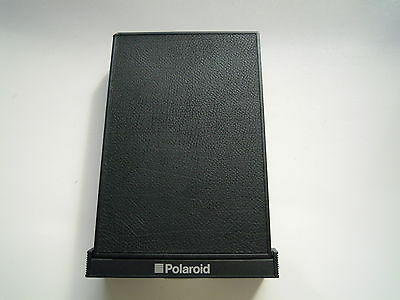 Polaroid Back Bronica ETR Film Back in Good Condition. 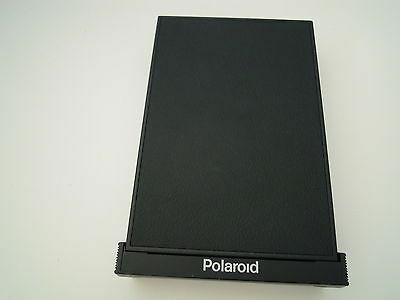 Polaroid Fuji GX680 film Back in very good condition. 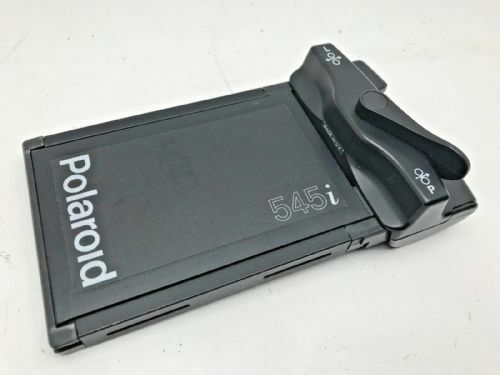 Polaroid Mamiya Back 645 Auto focus back in good condition. 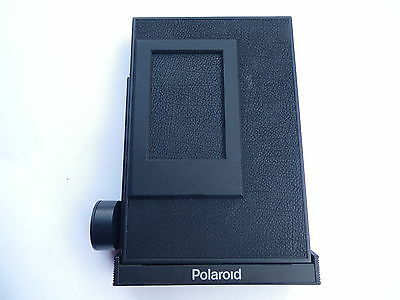 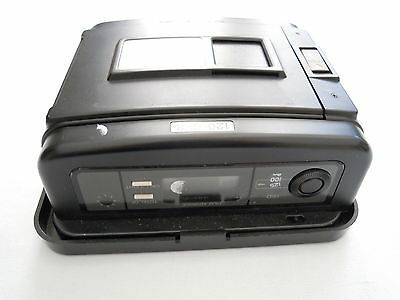 Polaroid Pola plus Back for Hasselblad This back is in very good condition. 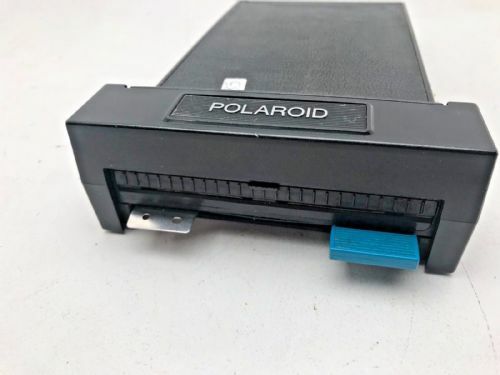 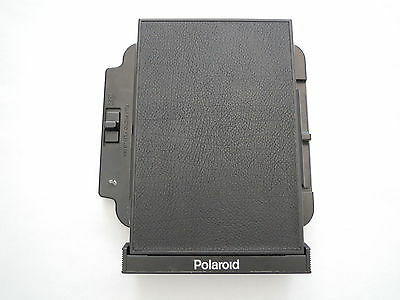 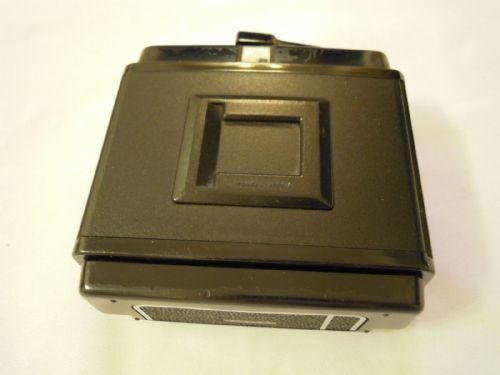 POLAROID SPRINT SCAN ULTRA 5X4 NEG HOLDER NEW UNUSED. 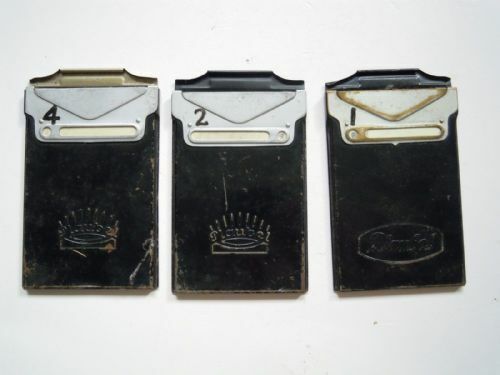 THE PACKAGING IS A LITTLE WORN. 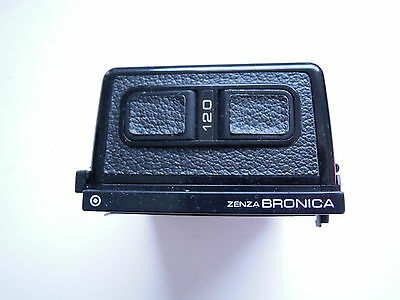 Zenza Bronica 120 Back. 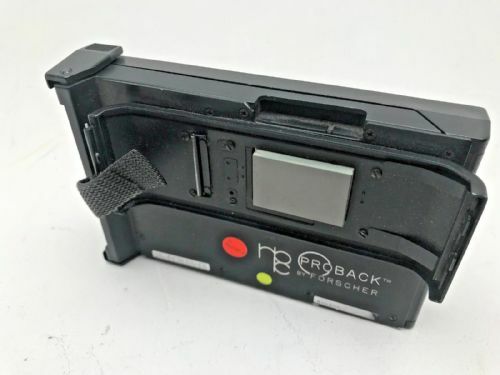 This back is in very good condition.